We firmly believe that when you move into a PANACEA property home that you have it YOUR way. 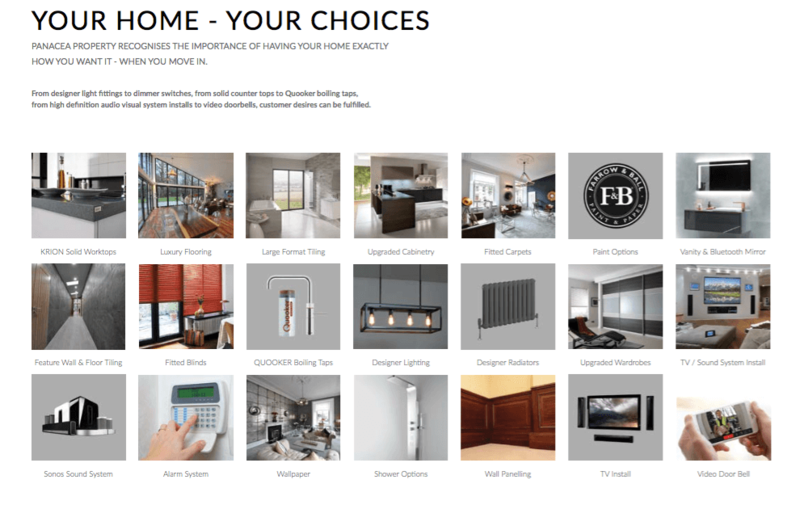 Whether it’s each room painted a different colour, wallpaper hung, designer light fittings, hardwood flooring to even a video doorbell – we aim to deliver you a truly bespoke home tailored exactly as you want it. Not only does it mean you can move in and put your feet up, it also saves you the hassle of trying to find reliable tradesmen and contractors to carry out each instruction – let us take care of that for you.